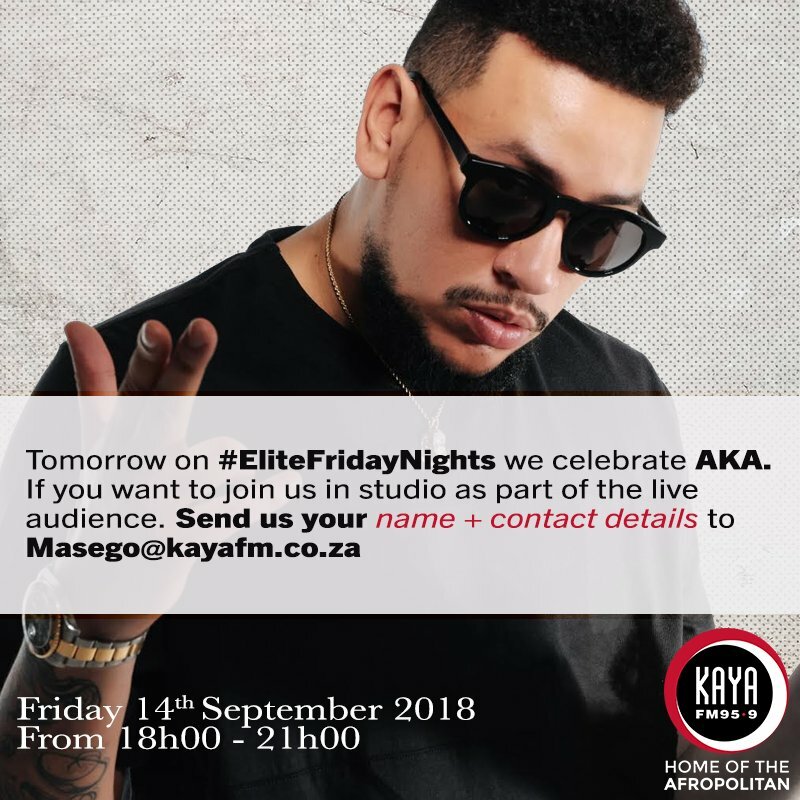 AKA will perform live on Kaya FM’s Elite Friday Nights show this Friday, 14 September 2018. AKA has had an undoubtedly successful career year. His latest studio album Touch My Blood, which was released in June, has achieved Gold record status and his recently released music video for the hit-single, ‘Fela in Versace’ raked up 100,000 views on YouTube within 24 hours of publication. To celebrate his rampant success, Kaya FM has invited the rapper to perform live on their Elite Friday Nights studio show on Friday, 14 September 2018.